Game developer by day and Photoshop superhero by night, Jason is in charge of the logo, branding and marketing materials for Game Anglia. 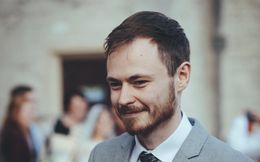 Since graduating from the University of Brighton in 2014 with a First in Graphic Design, Jason has five years of experience in visual design and is passionate about video games and animation. He is also the mind behind Flitch Games Ltd., developing the game Klink, a simple but challenging puzzle game for mobile platforms. A founding member of the Game Anglia team, he has been fundamental in establishing the image that Game Anglia is now being recognised in the region. Jason is involved in the Indie Showcase, game jam series and setting up speakers for our Game Anglia conference series.